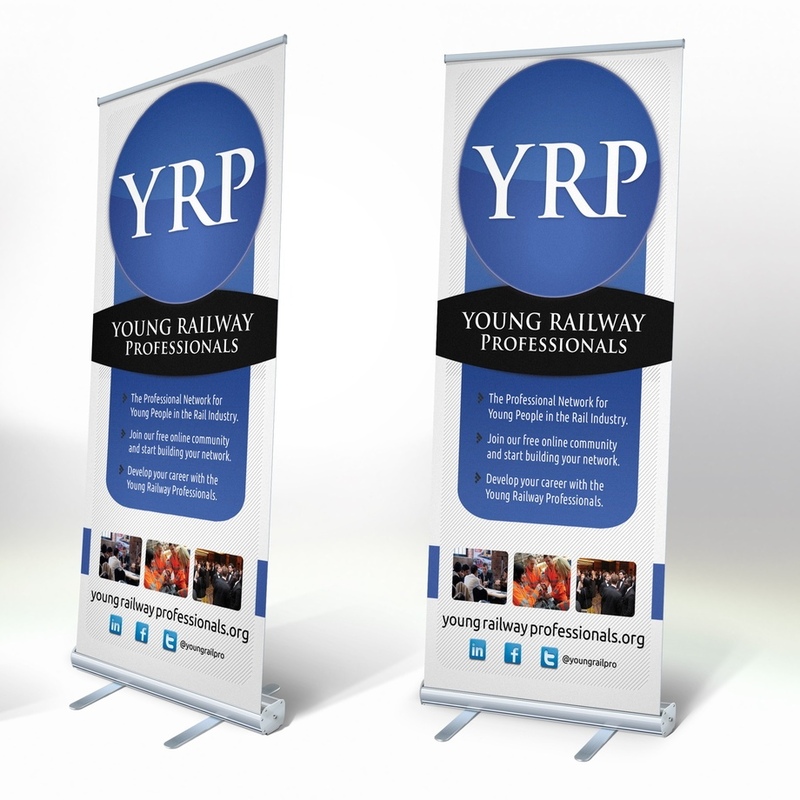 The Young Railway Professionals (YRP) commissioned Primary Image to create a new corporate identity for their organisation. They already had an existing logo, but wanted to bring it more up-to-date and relevant to their young audience, though by still keeping aspects of the old logo (such as the font). Following consultation with the YRP and after several concept designs, we created this evolution of their previous logo, incorporating a subtle colour gradient and making the styling more current. To launch their new identity, we created three pull-up banner stands in a contemporary and eye-catching style (see the design here), designed to appeal to their target audience – particularly under 35s in the rail industry. 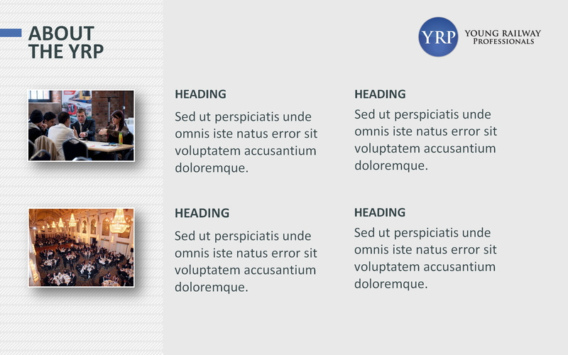 We also designed a set of PowerPoint slides to use in their presentations. In addition, the YRP ordered 2,000 business cards to promote their organisation and website (see the business card design). In the past we have also created a number of other printed products for the YRP, including flyers and brochures, as well as a social networking website. From the end of 2013, the Young Railway Professionals became the Young Rail Professionals. The organisation, as of summer 2016, now has over 4,000 members.